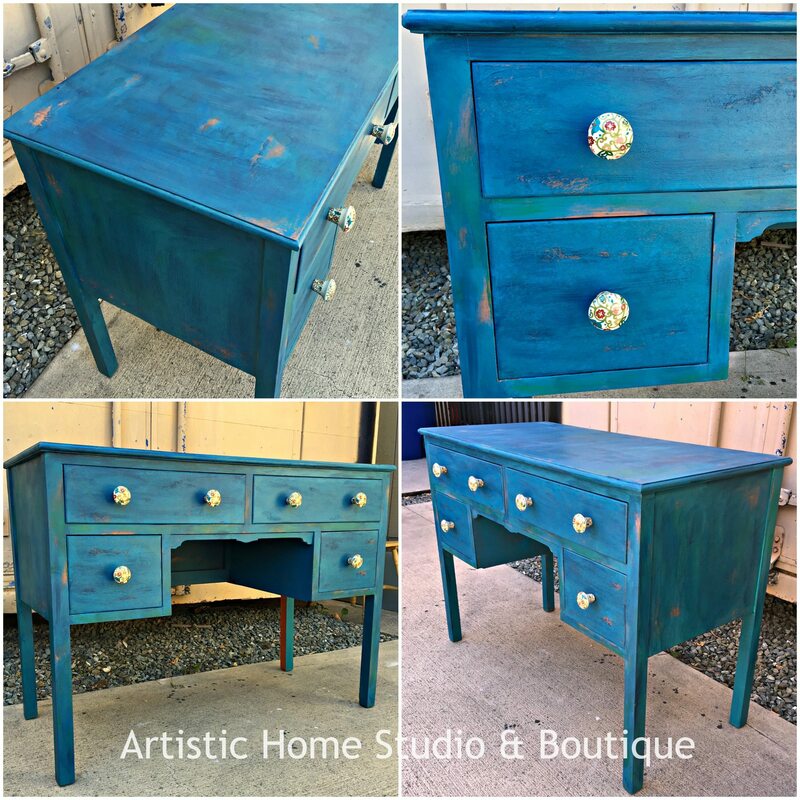 "Had a little paint therapy last week and gave this desk a boho makeover! I used about 6-7 different GF Milk Paint & Chalk Style Paint colors (starting with Persimmon) and finished off with FOF (Flat Out Flat Topcoat). It sold before the last layer of topcoat was dry. I mixed and layered colors and started with Persimmon as the base. Used a little Klein Blue, Corinth Blue, Lime Green, Coastal Blue (Milk Paints), Fjord Blue, Key West Blue & Charleton Blue (Chalk Style Paints) and maybe something else. Just grabbed all the pretty colors and went to town." - The Artistic Home Studio and Boutique Visit The Artistic Home Studio and Boutique at 419 Park St. Alameda, CA 94501, inside Park Street Plaza or online at http://www.ArtisticHomeStudio.com/ to purchase GF products!